From the start, Mindful Kreative has tackled all kinds of challenges. We’ve learned to ask the right questions, dig deeper and add an extra dimension. This kind of expertise has earned our company several accolades. 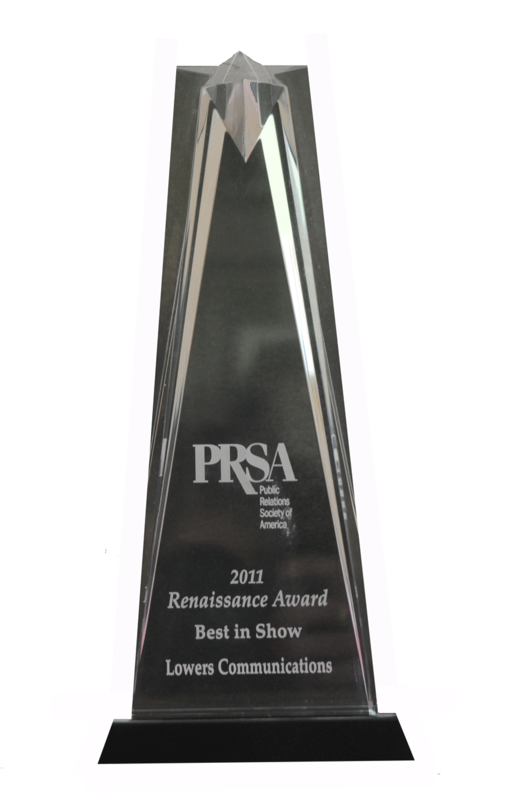 We continue to put client success above trophies; it’s this philosophy that leads to recognition for our work. 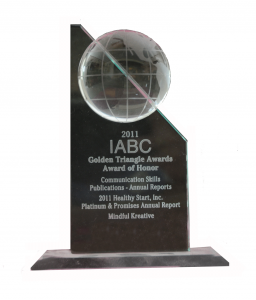 We are proud to share some of our most recent awards and honors. 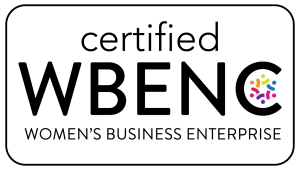 The US Trade & Commerce Institute (USTCI) identifies companies that have demonstrated excellence in their respective fields and achieved commercial recognition each year. 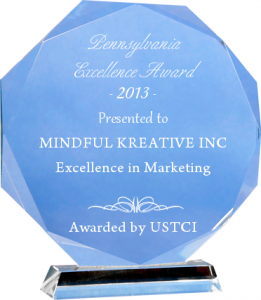 The USTCI recently recognized Mindful Kreative as a Pennsylvania Excellence Award recipient for excellence in marketing. 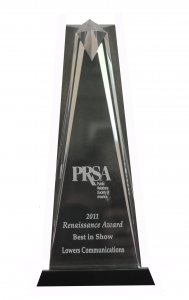 The Pittsburgh chapter of the Public Relations Society of America bestowed the coveted Best in Show Award for the Beyond Our Wildest Dreams, Healthy Start Inc. capabilities package. 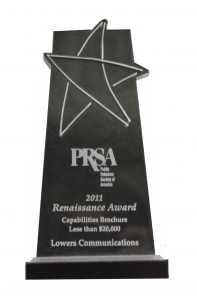 The Pittsburgh chapter of the Public Relations Society of America honored Lowers Communications (now Mindful Kreative) with a First Place Renaissance Award – Best Capabilities Piece for the Beyond Our Wildest Dreams, Healthy Start Inc. capabilities package. 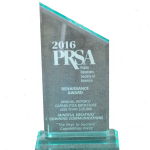 The Pittsburgh chapter of the Public Relations Society of America also recognized Mindful Kreative with a Renaissance Award in the annual report/capabilities brochure category for the Mainstay Life Services “Keys to Success” capabilities piece. 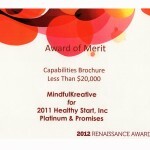 The Pittsburgh chapter of the Public Relations Society of America honored Mindful Kreative with an Award of Merit for the Platinum & Promises, Healthy Start Inc. capabilities brochure. 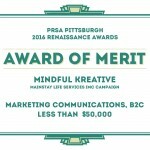 The Pittsburgh chapter of the Public Relations Society of American also recognized Mindful Kreative with an Award of Merit in the B2C marking communications campaign category for the Mainstay Life Services integrated marketing communications campaign. 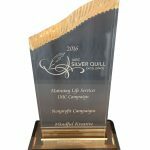 The Heritage Region of the International Association of Business Communicators honored Mindful Kreative with a Silver Quill Award of Excellence for the Mainstay Life Services IMC campaign. 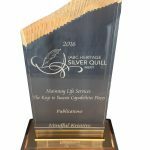 The Heritage Region of the International Association of Business Communicators honored Mindful Kreative with a Silver Quill Award of Merit for the Mainstay Life Services “Keys to Success” capabilities piece. 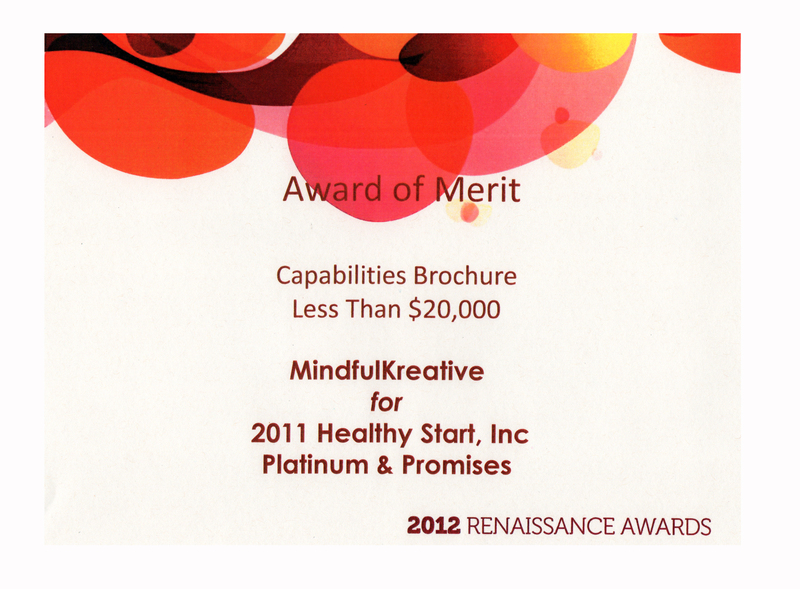 The Pittsburgh Chapter of the International Association of Business Communicators honored Mindful Kreative with an Award of Honor in the annual report category for Platinum & Promises, Healthy Start, Inc. annual report. 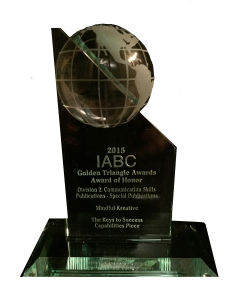 The Pittsburgh Chapter of the International Association of Business Communicators also recognized Mindful Kreative with an Award of Honor in the publications – special publications category for the Mainstay Life Services “Keys to Success” capabilities piece. The awards we’ve received are nice, but we maintain the greatest honor of all is our clients’ business and their successes.